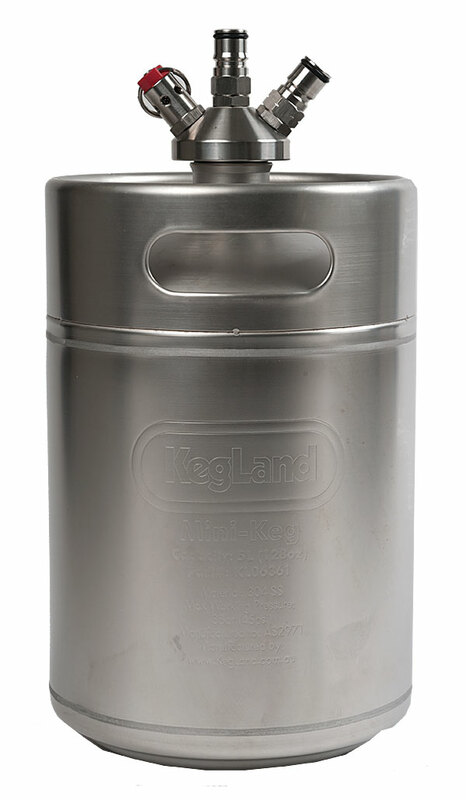 The KegLand Stainless Steel Mini Beer Kegs are specifically designed for home brewing/growler dispensing. They are suited to small batches and suited to people who want to fit them into their home refrigerators. You can naturally carbonate using priming sugars or force carbonate and serve your beer with the optional ball lock lid (item P07, see at right). They come with a silicone gasket sealed stainless threaded lid, so you can fill them with beer and let them naturally carbonate, or carbonate as needed with the optional P07 ball lock lid. You will be given a chance to buy this lid (you do not need a Ball Lock Lid for every keg) when you put this in your cart. 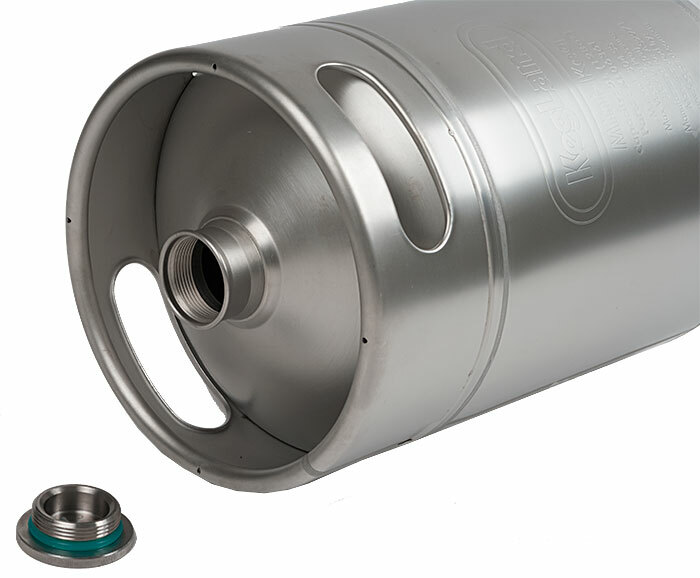 Kegland Mini Kegs use the gold standard acid bath electrolosis to pacify the 304 grade stainless steel making the more resistant to rust than any other mini keg on the market. 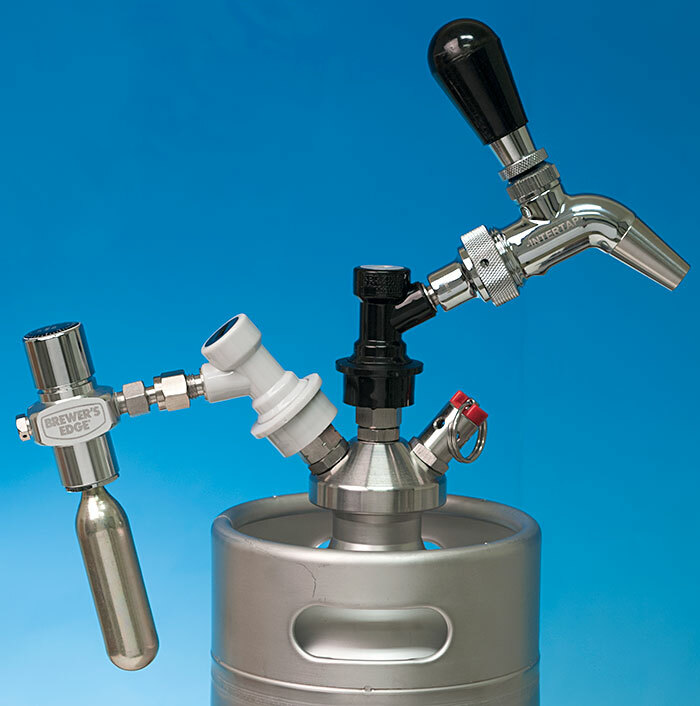 These are the only mini keg that uses a special robotic technique to weld the kegs from the inside out. 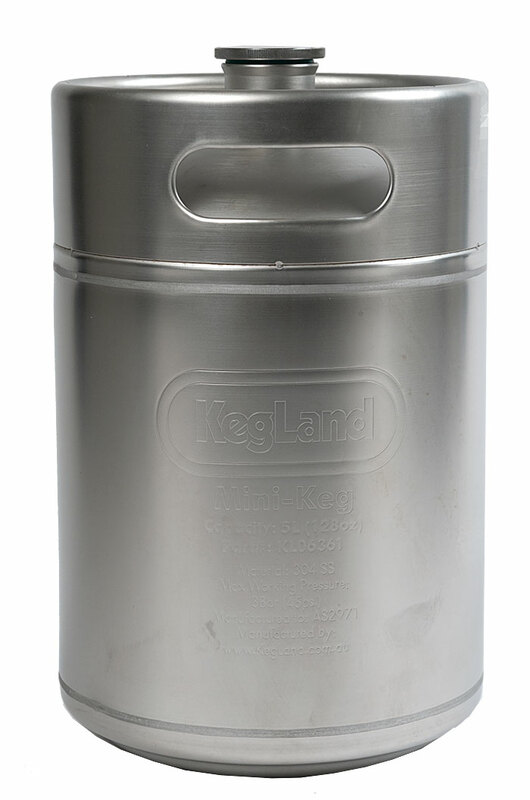 This means KegLand gets a superior welding finish that is more sanitary than any other mini keg available. Although there are many other mini kegs that come from China simply none have the quality and finish as the genuine KegLand minikegs. See the video below for the KegLand welding story. This 5 Liter (1 gallon) model is 11" tall and 7" wide. With optional Ball Lock Lid P07, it is 13.5" tall. from Everett, WA I LOVE this minikeg! Super quality and this is perfect for both my small batches, keeping a local breweries beer carbed, and for just keeping small quantities in the house instead of full size kegs. The advantage to this minikeg over others is the ability to just take the keg places, and when pressure runs out, you can unscrew the top and pour! Repressurize the remainder when you are back home. Great quality welds too. from Tacoma, WA Love these guys! I love these little guys! Going to a bbq? these are really easy to take! Doing 1 gallon experimental beer? Use these kegs! Guest taps on your kegerator? These little guys are awesome! HI, I'm interested in your products. Can I know the country of manufacture of your products ? fast reply, thanks. Description reads: "5 Liter (1 gallon) model" 5 Liter = 169.07 US Fluid Ounces Does this hold 5 Liters or 1 Gallon?